Maintaining your home is a year-round ordeal. As long as there is waste around your lawn or patio in the summer, fall, winter, or springtime, you'll need waste bags. 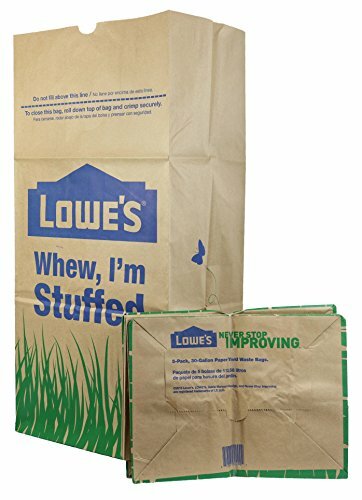 These Lowe's waste bags do the job right. Compact when not in use, just open these two-ply paper bags up all the way and they can stand by themselves for as long as the job goes on. They hold up to 30 gallons of waste, so with this 25 pack you have 750 gallons to work with. These bags are biodegradable, too, so they can decompose along with your compost. Wet refuse, dry refuse, this bag can take just about all of it. Give it a try, you will not be disappointed. Lowe's does it better.